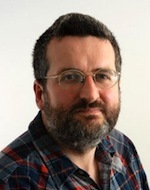 Huw Richards, journalist, and an editor of the new book 'The Cambridge Companion to Football', discusses the culture of the game. It was a couple of years ago when former England boss Steve McClaren made a brief foray back into his home country as manager of Nottingham Forest. It didn’t last very long, but it did enable him to give a fascinating interview to The Guardian in which he recounted an incident during his time as manager of Twente Enschede in the Netherlands. Discovering that an opponent was planning a tactical shift against Twente, he asked a 21 year old midfielder how he could counter the move. McClaren recalled “He proceeded to talk for 20 minutes on the tactical aspects of our game plan, in terms of how we defended and attacked. After 20 minutes I said ‘very good, that’s exactly what we were going to do – and by the way, where did you learn that”. He said ‘we’ve been doing this since we were eight or nine”. We don’t have a chapter on the Dutch in The Cambridge Companion to Football. To do justice to every significant footballing culture worldwide would have demanded several books, rather than the single volume released on the world earlier this week. But it still figures in my chapter on the Danubian School and the great Austrian and Hungarian teams who flourished either side of the Second World War, since it fitted one of the underlying themes of both that chapter and a shorter, sharper take on the current eminence of Spain – the question of what might be termed Comparative Advantage. How is it that some countries out-punch not only their own weight, but rivals who appear to be better equipped? Cristiano Ronaldo – can’t be signed by England. Photo: Ludovic Péron via Creative Commons. It can also be asked about clubs, but nations make for a more satisfactory study. They have to play the hands they are given. England cannot sign Cristiano Ronaldo or hope to see their fortunes transformed by the patronage of some oil-rich potentate. And of course the big factor in the international fortunes of football nations is population. Brazil will always have an advantage over Chile, Germany an edge over Sweden. Italy and Germany between them thwarted the World Cup ambitions of the very best teams produced by Austria, Hungary and the Netherlands. But there’s still a lesson here. Those countries were able to all but close the gap on much bigger neighbours. The Hungarians of 1954 are only that single defeat away from being the serious alternative to 1970 Brazil in what Americans habitually term the GOAT (Greatest of all Time) debate. The Dutch misfortune was running into perhaps the best of all German teams on their own soil – but we still remember them rather than their conquerors. And what they had in common was a culture of not only playing football but thinking and talking about it. The Danubian style emerges, amid much else, from the coffee-house ferment of late Hapsburg and early Succession State Vienna and Budapest. The Dutch are a product of the culture epitomised by that lad at Twente. That intellectual engagement with the game and its possibilities places their game at the tactical cutting edge, creating football that is memorable both aesthetically and in terms of results. We had our own, earlier, example in Scotland. The game may have been codified further south, but the Scots were the first really to think about it and look for different ways of playing, creating a passing game that crushed England teams still relying on founding fundamentals in the late 1870s and early 1880s. Vestiges of that culture still remain. On the odd occasions I get to football in Scotland I look forward not only to hearing some world-class invective, but a general level of terrace discourse some way ahead of what I am likely to hear in more normal haunts at Barnet or wherever Swansea are playing. And while Scots may bemoan the current state of their game, it is worth asking if there is another European nation of five million that can point to four clubs capable of reaching (and three who won) European finals and a long succession of World Cup qualifications. Austria and Hungary too have receded into the ranks. Competitive advantage is finite, particularly when wielded by small nations. Rivals learn and catch up. The Dutch retain their place near the cutting edge, but are both larger and wealthier than Scotland, Austria and Hungary. So who’ll be next ? That’s much harder to predict, but the odds are is that it will be somewhere else characterised by an intense continuous conversation about football and committed cultivation of its skills. There’s a lesson here too, perhaps, for larger nations that don’t do that badly but still seem to find themselves out-thought by others in their peer group. 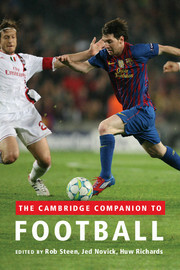 The Cambridge Companion to Football is out now, and is edited by Rob Steen, Jed Novick and Huw Richards. Foreword by Sir Michael Parkinson.